Flip a coin on each turn that you make. 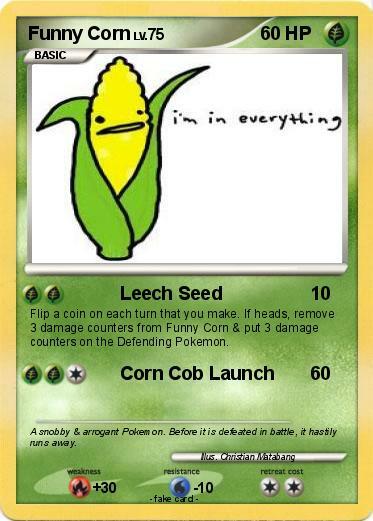 If heads, remove 3 damage counters from Funny Corn & put 3 damage counters on the Defending Pokemon. Comments : A snobby & arrogant Pokemon. Before it is defeated in battle, it hastily runs away.